Empire Aviation Group, the leading private aviation company and operator of the Middle East`s largest managed fleet of business jets, has announced the opening today of a new aircraft sales office in the US. Empire Aviation`s new sales office in Scottsdale, Arizona will help the company access the world`s largest market for private aviation and business aircraft – North America accounts for more than 50 per cent of global new business jet sales, and around 60 per cent of the world`s general aviation fleet. Empire Aviation`s US sales business is targeting 30 aircraft sales in its first 12 months of operation. The new Empire Aviation office at Scottsdale Municipal Airport in Arizona will focus on acquiring and re-selling pre-owned business jets for buyers all over the world including clients in the Middle East, Africa and India, where the company also operates. The company has appointed Gary Wright, veteran of the US general aviation industry, to head the new US sales operations. According to the latest figures from the General Aviation Manufacturer`s Association (GAMA), new business jet sales stabilized in 2013, after slowing for the last four years, with a rise in new business jet deliveries in 2013 mainly due to strong demand in the large-cabin, long-range segment. Business jet shipments rose from 672 aircraft in 2012 to 678 in 2013. Steve Hartley, Executive Director of Empire Aviation Group, said: "Our new sales office is just the first step for Empire Aviation Group in the US, where we target to sell around 30 business jets in the first 12 months of operating there. We have proven our aviation asset management business model and the US is the next opportunity, after our launch in India, in 2012. As the US market for new business jets recovers, this creates opportunities in the pre-owned sector as corporations and individuals take delivery of their new aircraft and more aircraft come onto the pre-owned market. We plan to follow up this first step into the US market with the introduction of our full service portfolio of aircraft management and aircraft charter." According to Empire Aviation Group, the price of a late model pre-owned business jet compared to new aircraft prices (which continue to rise) offers a substantial discount to buyers. Savings on pre-owned versus new aircraft prices can run into the millions of dollars, which can be enough to cover operating costs for the owner for up to five years. Pre-owned aircraft are more readily available, with manufacturers currently running order backlogs; buyers of new aircraft may have to wait several years to take delivery. "Every part of the global economic cycle creates opportunities in business aviation and especially in the US because of its dominance. As well as the sheer size of the market, the US is a highly regulated aviation market and this helps to provide buyers with a further reassurance about their aircraft, through the due diligence process, which we undertake pre-sale, " adds Steve Hartley. "As the majority of new aircraft sales in the US are replacements for existing owners, we are set to see some very attractive acquisition opportunities and great value for buyers." 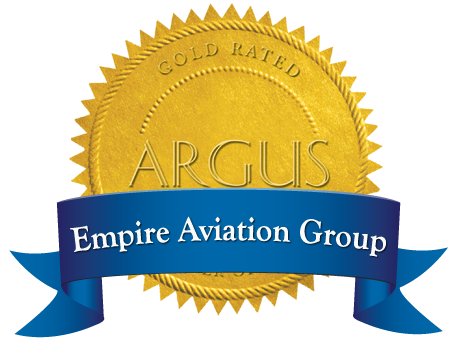 Empire Aviation Group launch its India operations in 2012 - the first overseas branch, in Bangalore - and already has aircraft under management. 2013 was another strong year for Empire Aviation Group during which the company added three new aircraft to its existing managed fleet; acquired its first managed aircraft in India; sold three business jets to owners; and grew the team to 120 staff. EAG`s managed fleet of business jets – now spanning the Middle East, Africa and India – continues to grow, with more than 20 business jets under management at any one time.